We used our friend Dave’s cut of Granddaddy Purple (aka GPD) for the mother in this cannabis cross. 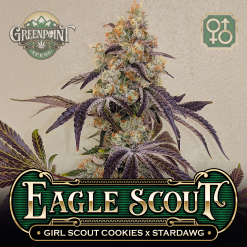 This particular cut of GDP is held tightly by a group of farmers who see her as the perfect indica; she is revered for her dense purple buds contrasted by bright orange hairs. We paired GDP with our Apollo 11 IBL ‘Genius’ pheno male and created Genius Granddaddy F2. 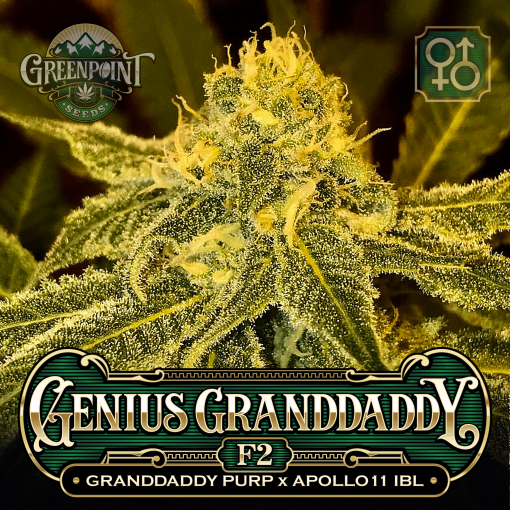 Genius Granddaddy F2 – We used our friend Dave’s cut of Granddaddy Purple (aka GPD) for the mother in this cannabis cross. 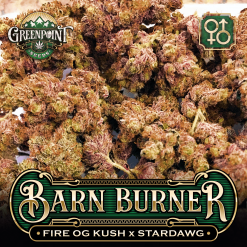 This particular cut of GDP is held tightly by a group of farmers who see her as the perfect indica; she is revered for her dense purple buds contrasted by bright orange hairs. We paired GDP with our Apollo 11 IBL ‘Genius’ pheno male. Our A11 IBL male comes from selected private stock from original Bros Grimm releases. Private breeders have isolated desired traits of the ‘Genius’ over multiple generations creating a inbreed line or IBL. 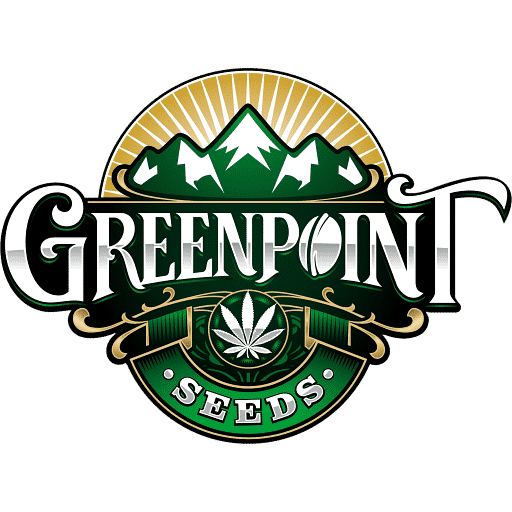 Plants exhibit and pass on all the traits we love about Apollo 11; rotten pineapple berry, lemon, tart, spice fast flower, excellent structure: bud to leaf ratio, amazing trichome production, euphoric, soaring and thought-provoking high. Expect early flowering phenotypes that can finish in 56 days with the average finish time of 60 days. She does exceptionally well topped and produces uniform colas with excellent bag appeal. Bag Appeal is excellent; her aroma is sweet grape kush with hints of pine. 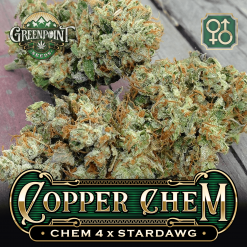 The Effects are couch-lock heavy indica, with remarkable medicinal properties. Great For nausea, insomnia, pain relief, and stimulating appetite. 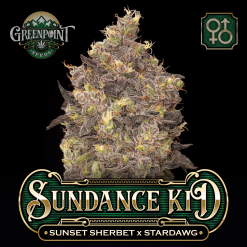 Phenotypes range from dark purple to lime green with hints of purple in her swollen calyxes. Tastes Are big bold, full-bodied, explosive grapes, lemon, and passionfruit. A true pallet pleaser. Euphoric and bright, she’s a thought-provoking friend of your creative genius.